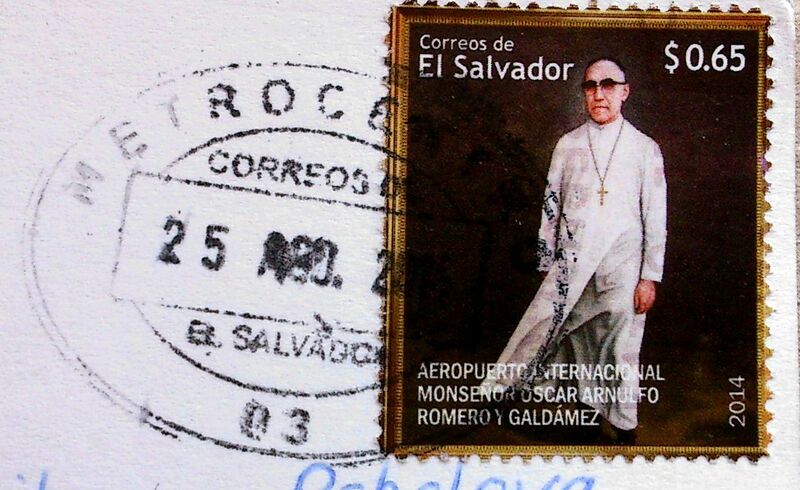 On the stamp you could see Óscar Arnulfo Romero y Galdámez. 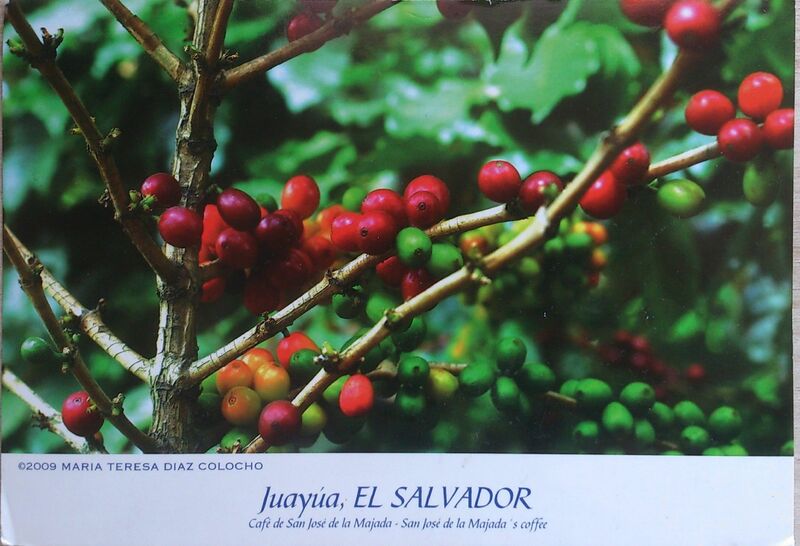 He was a bishop of the Catholic Church in El Salvador. He became the fourth Archbishop of San Salvador, succeeding Luis Chávez, and spoke out against poverty, social injustice, assassinations and torture. Romero was assassinated while offering Mass in 1980. In 1997, Pope John Paul II bestowed upon him the title of Servant of God, and a cause for beatification and canonization was opened for the assassinated bishop. As the canonization process continues, some consider Romero an unofficial patron saint of the Americas and/or El Salvador; Catholics in El Salvador often refer to him as “San Romero”. 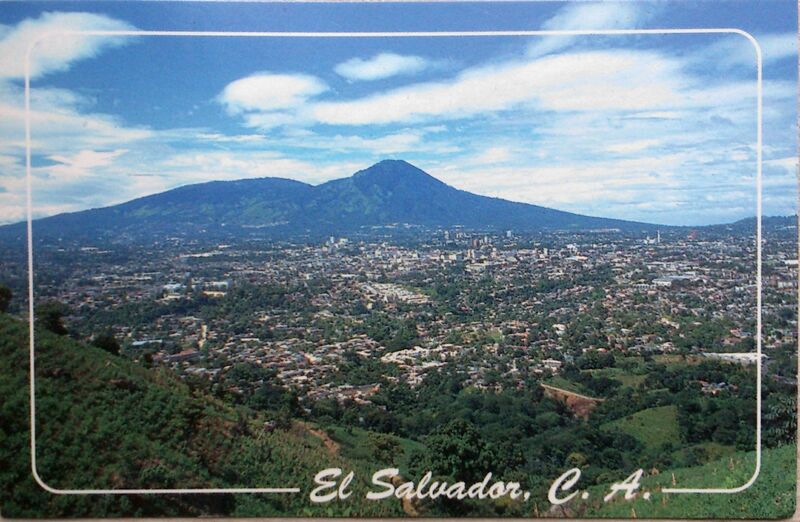 San Salvador is the capital city of the Republic of El Salvador.It is located in the Salvadoran highlands, surrounded by volcanoes and prone to earthquakes. The Spaniards called the area “El Valle de Las Hamacas” (English: The Valley of Hammocks), a translation of the name given it by the native Pipil people in allusion to the need for beds that would sway with the earth’s movements during an earthquake. With a population of 567,698 (2,442,017 in the metro area), it is the fifth most populated city in Central America, and its metropolitan area is the second most populated.